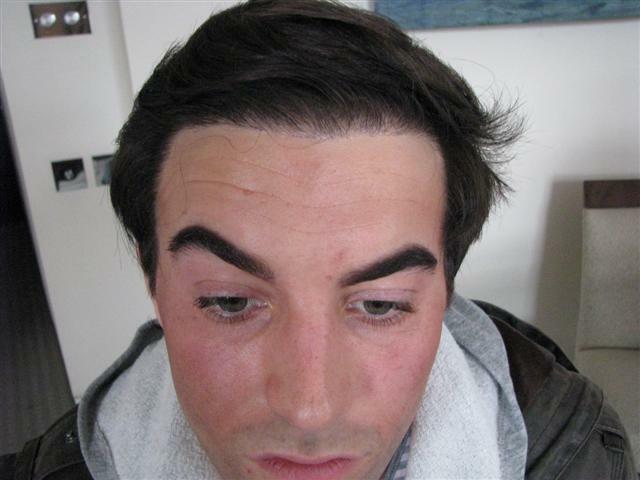 The patient below had 3,000 grafts FUE to completely recreate his temples, rebuild his hairline and fill in zone 2. I have posted his before and after photos below. His surgery was performed by Dr. Alvi Armani in Dubai. » This one is awesome. Yeah I agree. This one is my favorite so far from the ones Ive looked at. Im assuming he now colors it, as I think there is too much of a difference in color to be darker just because its from the back of the head. Great results man! Achieved awesome coverage with only 3000 grafts. Keep the pics coming Pats! 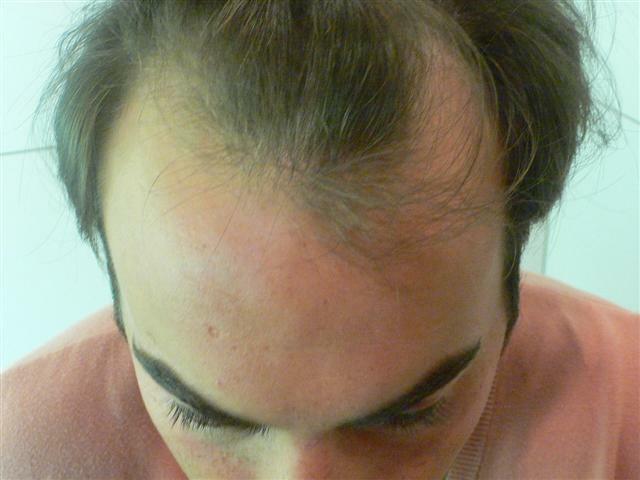 These pictures are a great example of the youth a hair transplant can bring back to a person. The before pictures seem to disply an aging male possibly in his 40’s, in my opinion. When you see his after pictures and his face he could easily pass for being mid to late 20’s. Hopefully he thinks that as well. Congrats on his results. I have some updated photos of this guys case. Some photos with his hair dry and some with his hair gelled wet and slicked back. Call me crazy, but all you doing backflips over this result are just not seeing the same thing I am. Please relook at this guy’s part… he doesn’t have one. All hair from about 3 inches above his ear is combed forward. 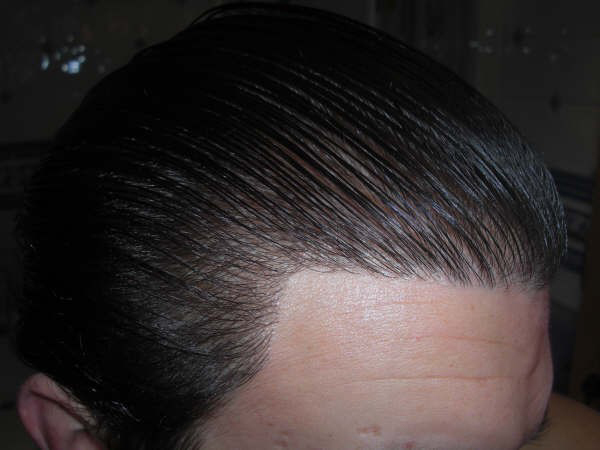 Lets see a wet full comb back, and maybe I’ll be a believer too. These pictures don’t show much. I call it like I see it… flame away! » have one. All hair from about 3 inches above his ear is combed forward. » pictures don’t show much. » I call it like I see it… flame away! Here is the wet comb back look you requested. It seems with his hair wetted and combed back, the results are even more impressive. No one can argue that this patient is hiding results. Thanks Pats, you seem to take a lot of heat from some people in here. Keep up the good pictures, these are excellent. Thanks, those are much better. Very impressive work! I retract my previous comments! Wow! !..out of all the pics I have seen so far, this is probably one of the best results I have seen from Armani. Pats, for future posts of before and after pics, is it possible to provide shots of the donor area as well? 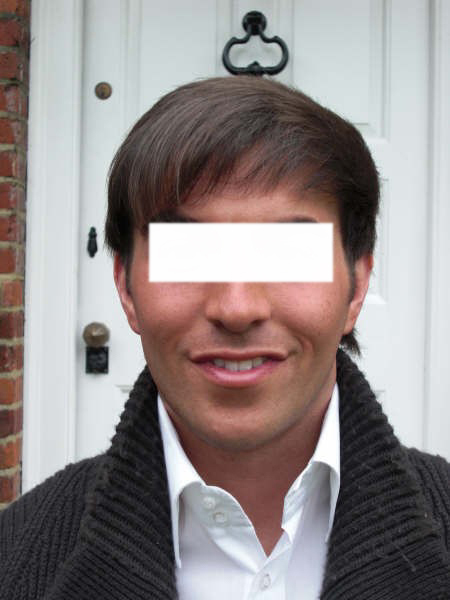 This has got to be the best FUE Hair Transplant I have seen to date. It rivals even the best strip transplants. Not only is this dr. Armani’s top best but I think its the best amongst any other clinic out there. 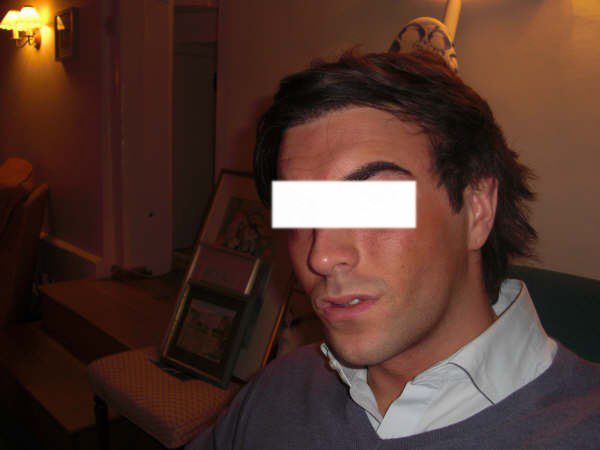 CAN’T WAIT FOR MY FUE TRANSPLANT! Hope to have his results. I was skeptical of the combing forward too but I ate my own words when I saw the wet photos with hair combed back. » » have one. All hair from about 3 inches above his ear is combed forward. » » pictures don’t show much. » » I call it like I see it… flame away! 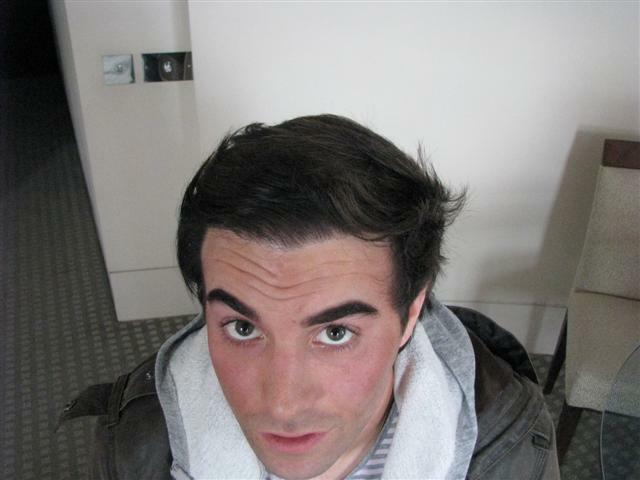 » Here is the wet comb back look you requested. I agree, 100% natural and undetectable as good as any strip transplants I have seen. Thats a very impressive result. The density looks good and even (and for 3000 grafts into that small area of real estate, it had damn well better be). I don’t like the hairline though. 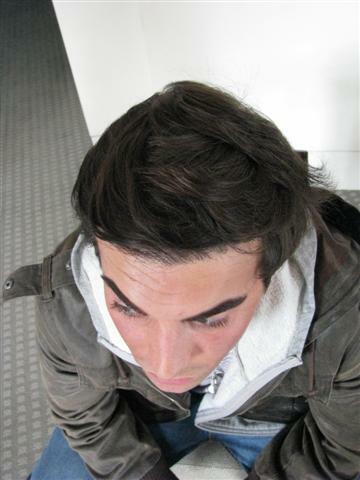 I’m usually pretty impressed with Armani hairlines in general, but that one looks too harsh in my opinion. Needs a little more breaking up and softening IMHO. 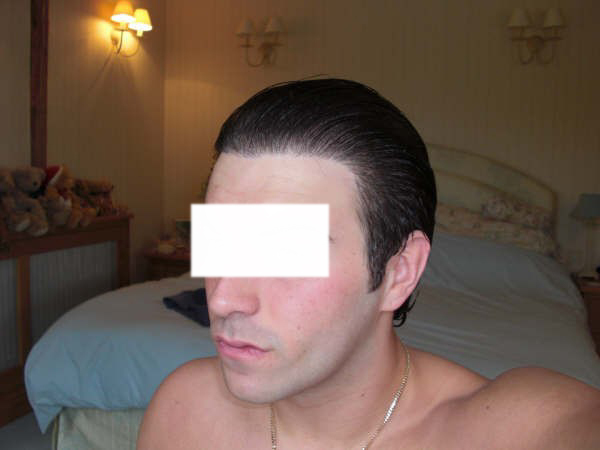 When someone gets a sparsely looking hair transplant some say “bad work, so thin, couldve used more hair” But when more hair is used in the transplant others still say the opposite. But nonetheless everyone is entitled to their own opinion and I respect that. 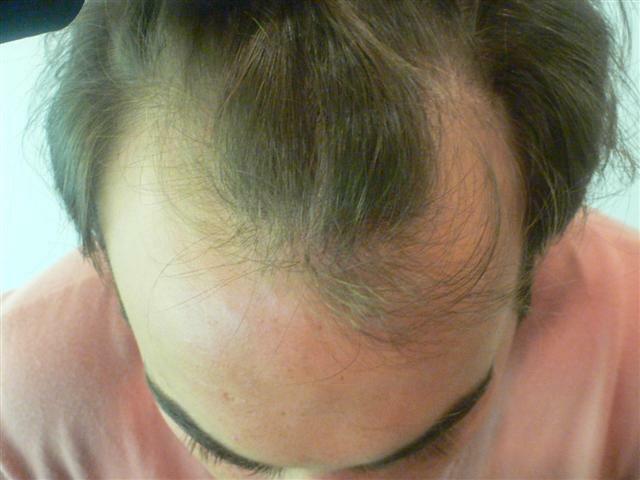 Not to mention his hairline is the best part of his entire hair transplant. Where’s the harshness there? » of real estate, it had damn well better be). » Armani hairlines in general, but that one looks too harsh in my opinion. » Needs a little more breaking up and softening IMHO. The grafts versus area issue is open to opinions. But don’t sit here and tell me you don’t see any abruptness at all in that hairline. » tell me you don’t see any abruptness at all in that hairline. I’m afraid I have to agree. The density is impressive and I like the hairline placement. 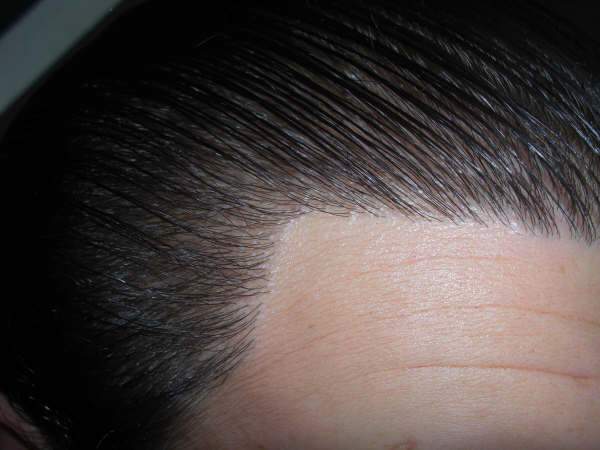 But the graft placement in the hairline is unnaturally straight and harsh. In fact I’ve held off commenting for a long time as everyone seemed to be wetting themselves over it. But I think it looks very unnatural and I definitely would not be happy if I had received this work.